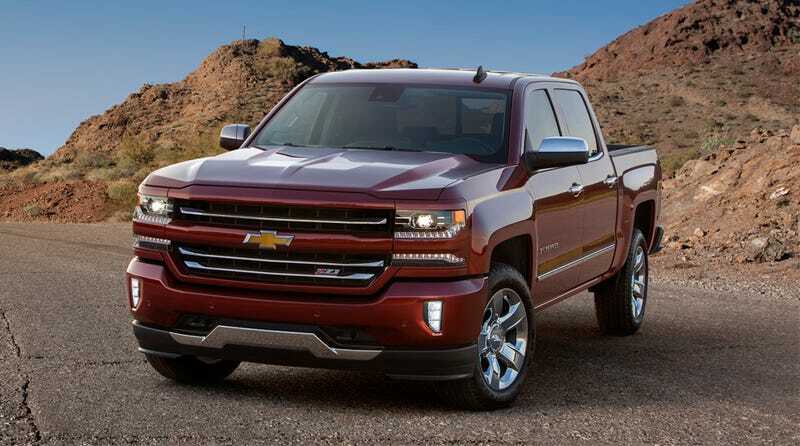 The 2016 Chevrolet Silverado will be facelifted as you can see right here, and GM promises “expanded use of the eight-speed automatic” currently helping their biggest-engined trucks get better gas mileage. Make your own call about styling. I’m into it myself, and I don’t mind letting it be known that I reckon GM makes the pretties pickups on the market right now. From a practical standpoint, proliferation of the Hydra-Matic 8L90 eight-speed is the real news here. Currently only available in GM trucks with the range-topping 6.2 V8, it reportedly weighs about the same as the six-speed it’s replacing and helps fuel economy significantly. That should help the smaller engines do even better. Every half-ton pickup can basically pull anything you can imagine. As far as the consumer’s concerned, y’all should start focusing on running costs. And a huge portion of that comes down to MPG. Here’s hoping the new gearbox-and-engine pairings make a big impact across Chevy’s full-size lineup.